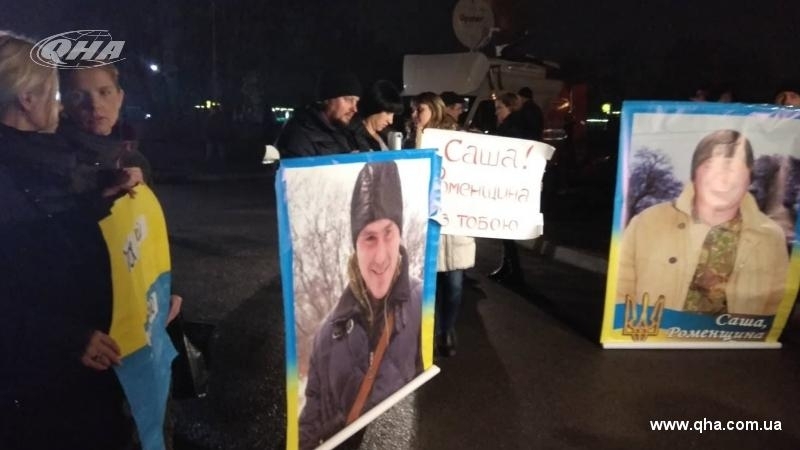 On Wednesday, December 27 at 21.30 - 22.05 three groups of Ukrainians, released in the framework of the previous exchange between Ukraine and the militants of the ORDLO, landed on helicopters at the airport in Kharkiv. Apart from liberated Ukrainian citizens, the representatives of the Ukrainian side involved in the exchange process, as well as the President of Ukraine Petro Poroshenko, who met them in Kramatorsk, arrived by the same helicopters from the Donetsk region. At 23.15 Kyiv time the IL-76 aircraft from Kharkiv headed for the capital of Ukraine. Around 00.30 on December 28, the plane from Kharkiv landed at the Kyiv airport Boryspil, where hundreds of people were waiting for the arrival of Ukrainians released from captivity. People were holding posters and national symbols in their hands. About 1:05 people released from captivity were taken to the Clinical Hospital Feofaniya, and the military - to the central military hospital for medical examination. Reportedly, 15 people from those whom the Ukrainian side was supposed to transfer to the Russian-controlled terrorist organizations DPR and LPR within the framework of the liberation of Ukrainian hostages, refused the exchange, and expressed a desire to stay in the territory controlled by Ukraine. Reference: December 27, as a result of the exchange of prisoners between the Ukrainian side and the ORDLO command, 74 prisoners, who were held in captivity by militants, were released. Earlier, the first photos from the place of exchange of prisoners on the outskirts of Horlivka near the "Mayorske" checkpoint were published.